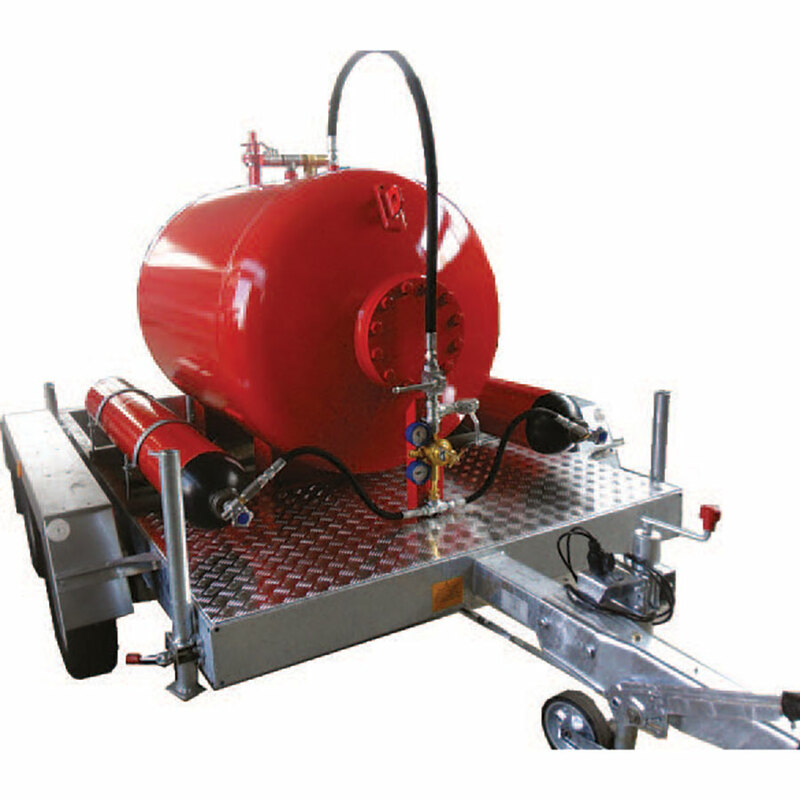 CAFS systems are common applications for many ﬁre protection appliances where small quantities of foam solution need to be used to ﬁght against ﬁre events and where a ﬁxed ﬁre protection network such as pressurized ﬁre water is not available. These systems, similar to RAFP and CPC systems consist of a pressure vessel which contains a preloaded foam solution discharged from a ﬁxed piping network or a hose reel. 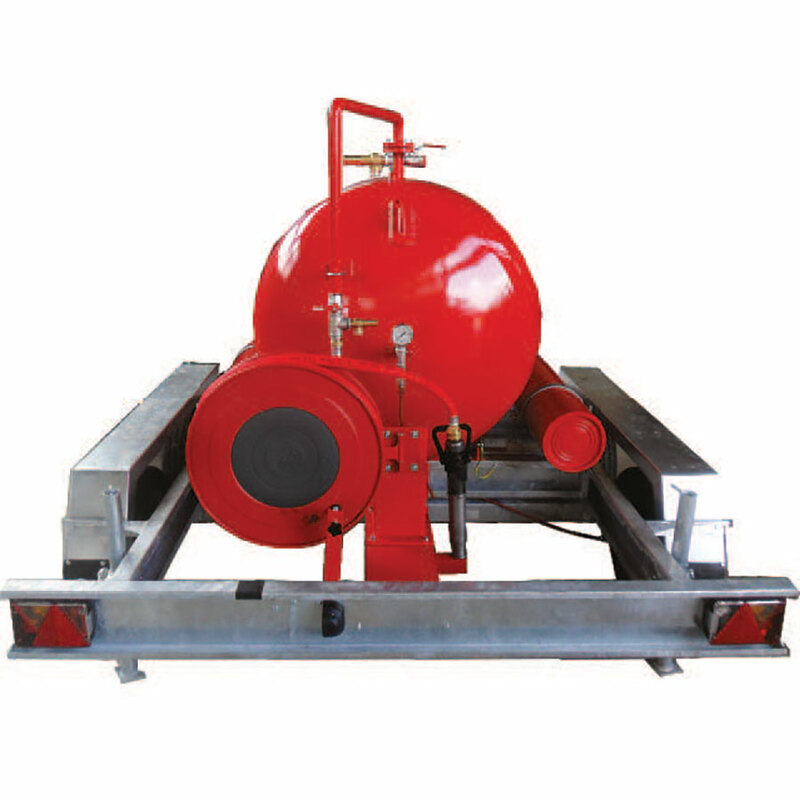 The foam solution is forced to leave the pressure vessel using the compressed air-gas source connected to the system. CAFS systems may be ﬁxed or over trailer mounted where mobility is required.